We wanted to take this opportunity to thank you for serving as Mohel for our son’s bris. 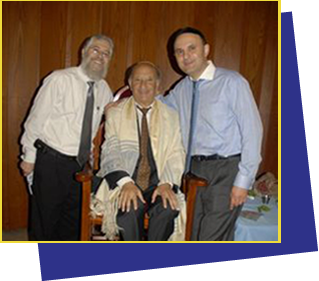 From your initial exam on day #4 of life through your post bris exam and follow up, your services were provided with the highest of medical and halachic standards. As physicians, we especially appreciated your calm and calming manner and utmost professional conduct. We felt fortunate to have had you perform the bris on our son and hope and pray that many others will benefit from your services for years to come. We would be happy to serve as references for you at any time.